This one is easier than it sounds. 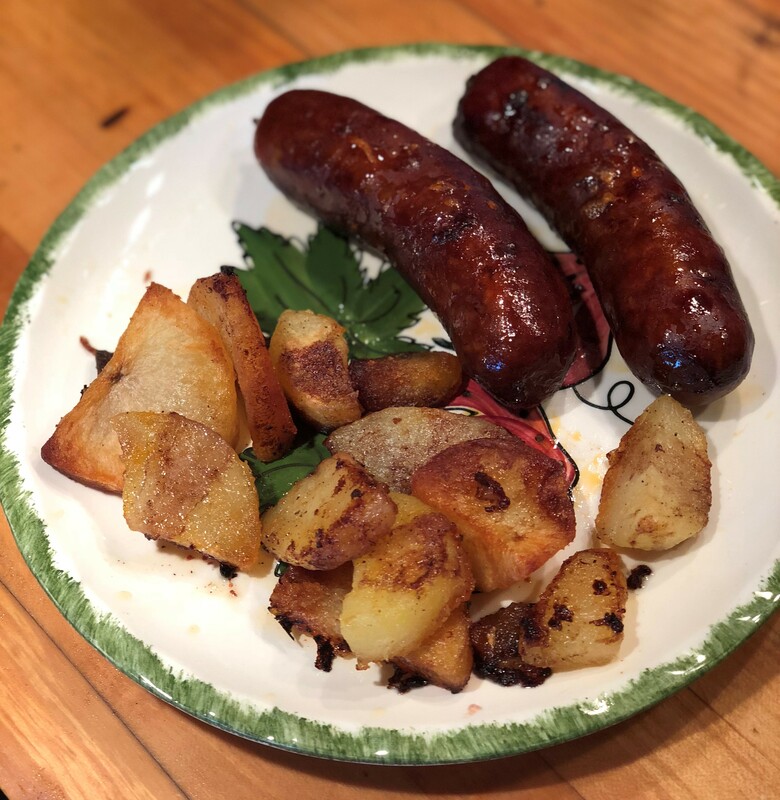 You have to cook two things at the same time, using a sheet pan, a pot, and a frying pan – on the stove and in the oven and then put them together. It isn’t complicated if you follow the prep directions below. Pre-heat the over to 425o. Peel and cut the potatoes into 1-inch pieces. Bring a pot of salted water to a boil, add the potatoes to the boiling water and boil for 5 minutes. 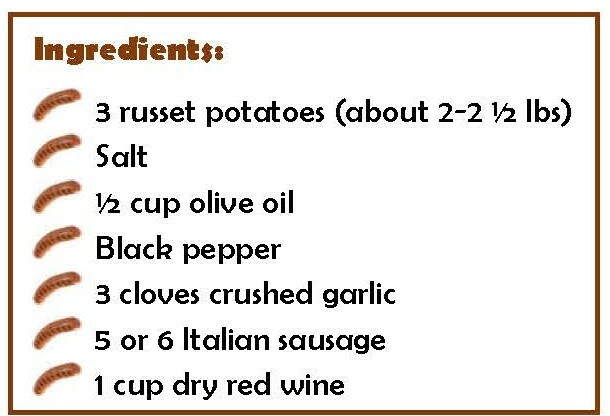 Drain the water and add the oil, pepper, and garlic to the potatoes and give the pot a good shake to thoroughly coat them. 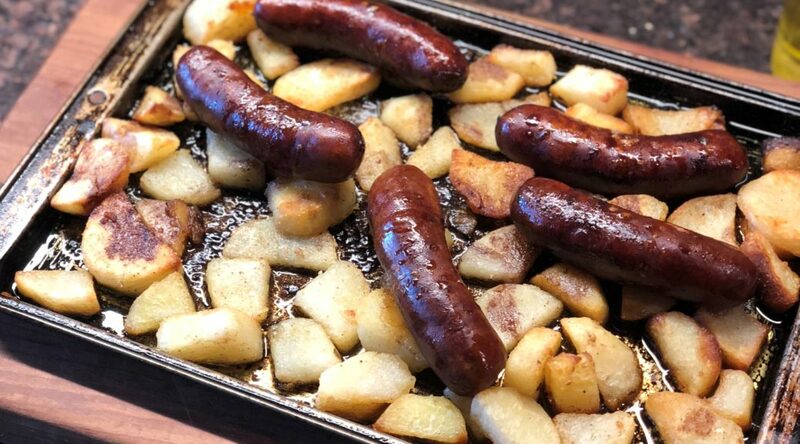 Arrange them in the sheet pan in a single layer and place them in the oven and roast for 30 minutes, turning them every 10 minutes. 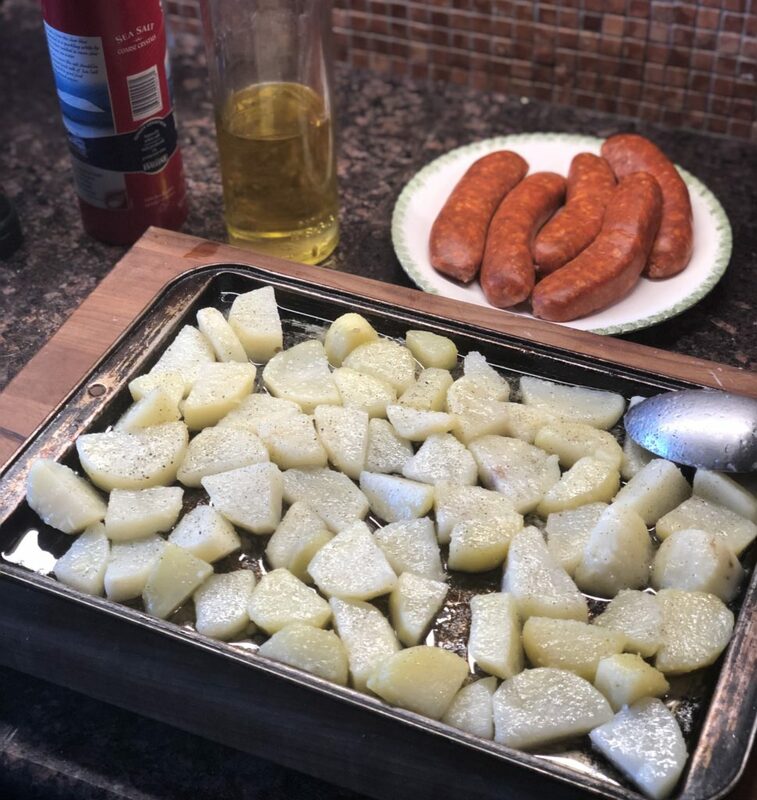 After you put the potatoes in the oven, place the sausages in a frying pan and cover ½ way up with water. Cook on high until the water almost evaporates, turning them often. Then add 1 cup of red wine to the remaining water, and continue turning and cooking until the wine is half gone. 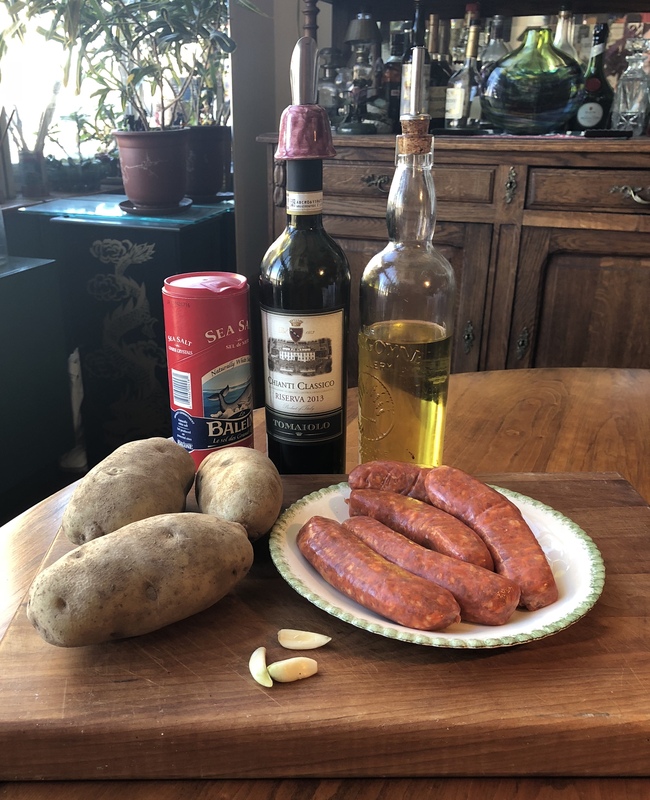 Turn off heat and add the sausages and wine to the potatoes for the last 10 minutes of cooking in the oven. Finish with 5 minutes under the broiler.